MarketWatch reprinted Donna's Next Avenue piece on the Supporting Grandparents Raising Grandchildren law. Learn more. Generations United invites you to Do Something Grand in honor of Grandparents Day. Visit www.grandparentsday.org to get ideas and information on ways that you and your organization can get involved. 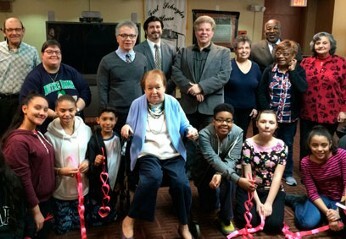 Congrats to our friends at The Plaza Assisted Living on receiving a micro-grant from Encore.org's Generation to Generation! Two hundred people of all ages applied to the Gen2Gen Summer Fun(d) in June with a wealth of scrappy, creative and fun ideas to bring the generations together. The Plaza was among the 20 winners! Learn more. We thank William Carey for his donation, which he gave in honor of "A very special person's birthday," and Donna Butts for her donation in honor of the Generations United family and 21 amazing years. Together, we are building a world that values all generations! Donate to help us unleash the potential of an "age-amped" society . If you're an organization, join us ! This Charlotte, NC-based nonprofit, which is housed at an assisted living facility, saw a surge in volunteers, young and old, after reports that America's Immigration and Customs Enforcement has separated children from their parents. Community members signed up to help immigrant and refugee children in their city. Learn more. 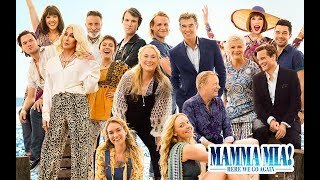 In this sequel -- 10 years after the blockbuster hit, Mama Mia!, -- the films goes back and forth in time to show how relationships forged in the past resonate in the present. In 1979, young Donna, Tanya and Rosie graduate from Oxford University -- leaving Donna free to embark on a series of adventures throughout Europe. On her journeys, she makes the acquaintances of Harry, Bill and Sam -- the latter who she falls in love with, but he's also the man who breaks her heart. In the present day, Donna's pregnant daughter, Sophie, dreams of renovating a taverna while reuniting with her mother's old friends and boyfriends on the Greek island of Kalokairi. Thanks for the recommendation, Danica! Learn more. Texas Taking the Next Step: 2018 Geriatric Symposium. Texas Health and Human Services. Georgetown, TX. Aug. 13-14, 2018. Learn more . "She's the one who taught me about hard work. She's the one who put off buying a new car or a new dress for herself so that I could have a better life. She poured everything she had into me. ..." ~Barack Obama on his grandmother. Happy birthday (8/4) President Obama!